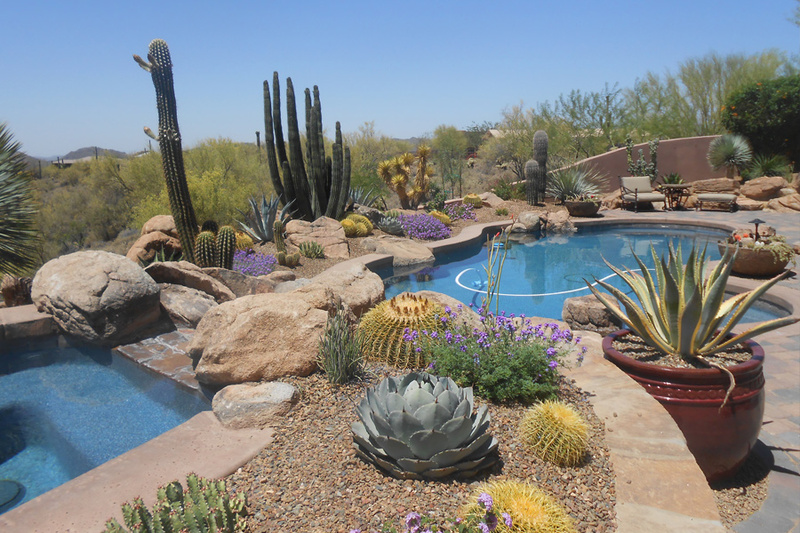 Since our inception in 1990, we have perfected an innovative artistic approach to creating outdoor living environments that will significantly increase the value of your property, and more importantly the quality of your life. We create the art you live within. We view landscape as an interactive, multidimensional, living art form. It should be a unique, stimulating setting that engages the senses, sparks your imagination, and renews your spirit. Your landscape should have a timeless beauty that allows you to transcend the day-to-day, and greatly enhance your quality of life. We want you to awake in the morning with a desire to race outside to your own personal oasis. 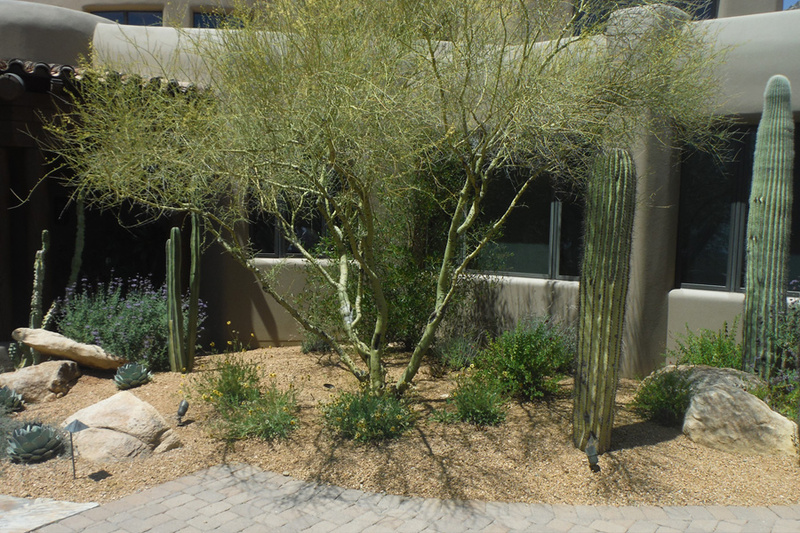 Over the years, we have fine-tuned our artistic approach to landscape design and installation. Our techniques are based on decades of successful installations that began small and grew over time to an impressive “WOW FACTOR” scale. We have built up an extensive palette to work with and we are able to pull from it on-site to create vignettes as we go. In the beginning stages, we walk you through a clear plan of the elevations in the yard and the placement of the focal vignettes that will create the flow through your landscape journey. 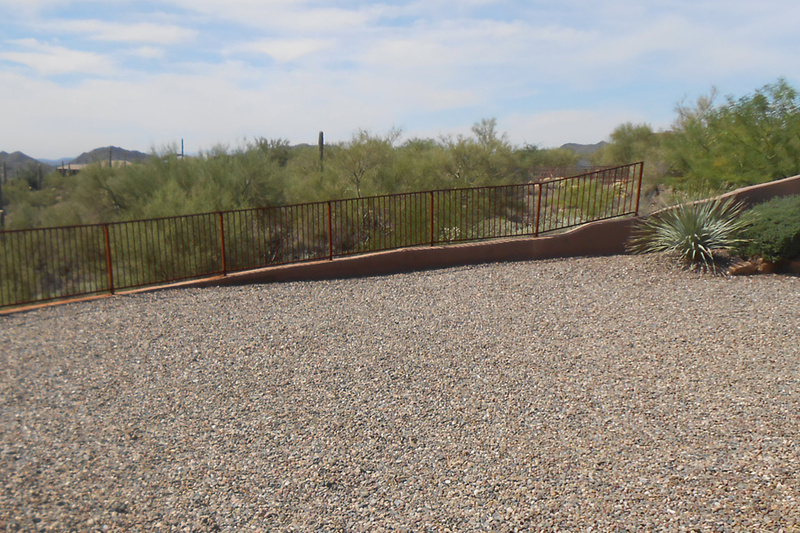 Almost four decades ago we started as father / son team with the focus on the landscape maintenance needs of North Scottsdale. Not much later a landscape designer joined the team and from that point we began to grow fast. Only you and your designer are privileged to create your dream in our showroom, then browse and select just the right plants from our private nurseries for your custom design. Our team has been featured in over 42 magazine and news publications featuring our talented designers and professional crew. Our process is unique to the industry. Our clients love the attention to detail and amazing personalized catered approach. From the moment you set foot in our showroom or tour our private nursery, you begin to feel the difference. 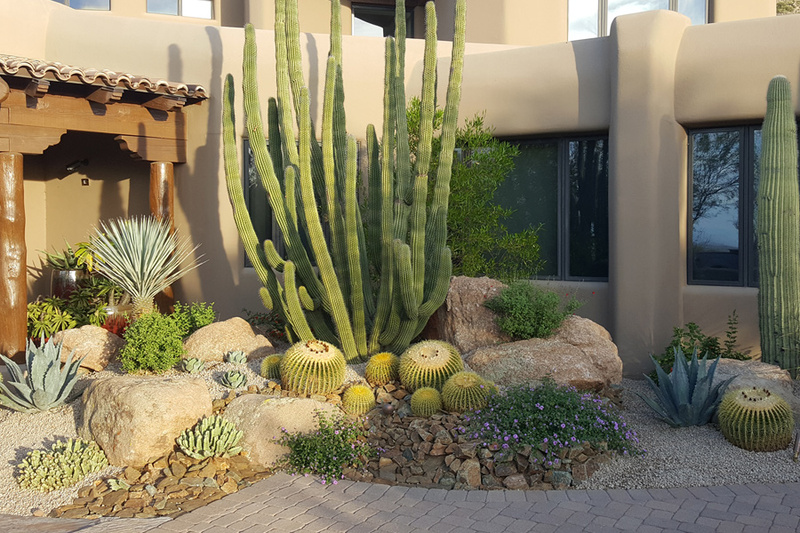 The landscape artist and project manager are able to make changes on the spot if they feel another cactus or plant size will create a more cohesive vignette or spectacular effect. We are completely invested in each project and enjoy having the freedom to create as we go to produce something special for each client. By getting a deep understanding of our client’s desires, we are able to work our magic, using the skills of our talented designers to produce the best possible dream scenario. Tired of spending your free time maintaining your lawn?